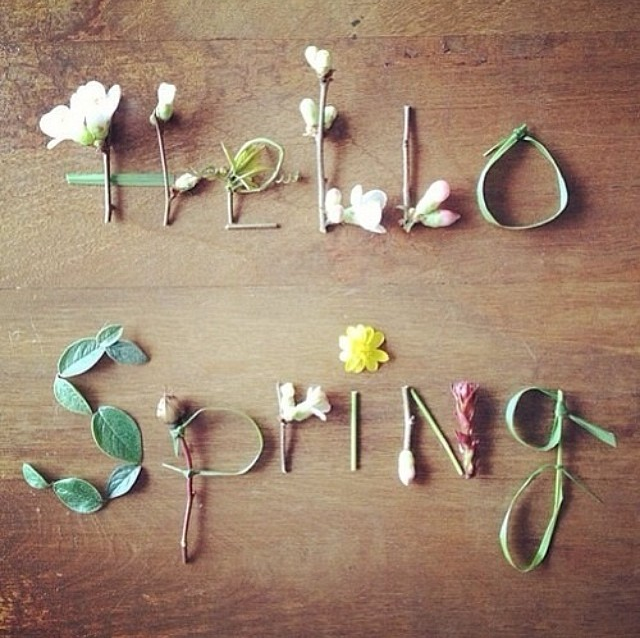 Today, March 20th, marks the first day of Spring, 2014. Boy, oh boy, are we excited to see you, Spring! It has been a long and nasty winter. But that's all over with now. Last night we rode with the windows down to get ice cream. Today the sun shone on my face while I sported my Wayfarers. I didn't wear a jacket today. My car was actually hot when I got into it at lunchtime. I ran around the yard of the new house with Madden yesterday. Again, without a jacket. Here is to looking forward to many more Wayfaring, windows down, singing, sun shining days! Spring, we have never been more happy to see you.